Short, Sharp Shanties: The music, life and times of sailor and shanty man John Short (Yankee Jack) of Watchet in Somerset. Run The Film Backwards: A entertaining account of the life, songs and poetry of the great Sydney Carter. Ey Up Mi Duck! 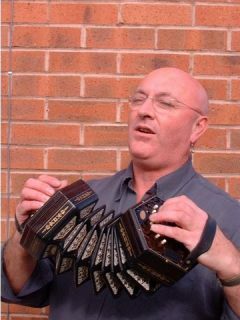 A sideways look at Derbyshire Dialect, Music, Songs and Customs – a raight owd belly laugh! Mistletoe & Holly Bears! A rousing audience participative celebration of English Christmas traditions and rituals – AND you can win a free gift!!! Weekend of: 15/16/17/18 June K+S with Winster Morris Dancers Twinning Trip ONZAIN, FRANCE. 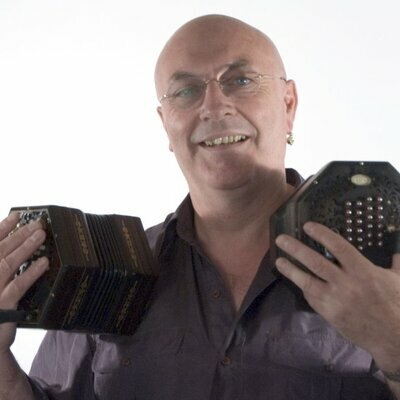 10th - 17th August K+S Broadstairs Folk Week Broadstairs, Thanet, Kent. 5-7th October K+S Derby Folk Festival Derby Market Square and various venues. Sunday, 16th December K+S Club hosted by Mick Ryan The Branksome Railway Hotel, 429 Poole Road, Branksome, Dorset, BH12 1DQ Afternoon club, between 3 and 6 pm. Here you will find pictures and text to download for promotional purposes. Keith and Sylvia in action! 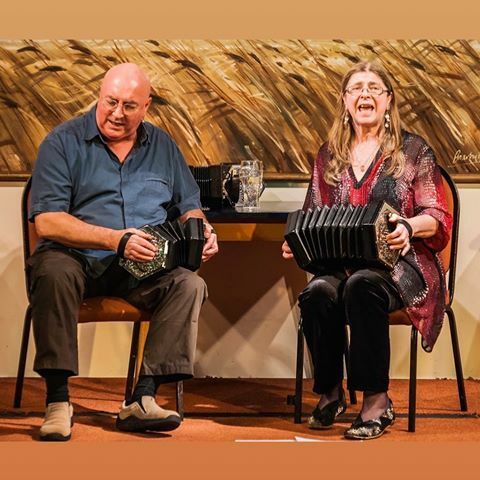 “….Keith Kendrick and Sylvia Needham gave us a beautiful and varied set of songs and tunes from Derbyshire and beyond….a thoroughly enjoyable evening that reminded us just why we love traditional folk music." 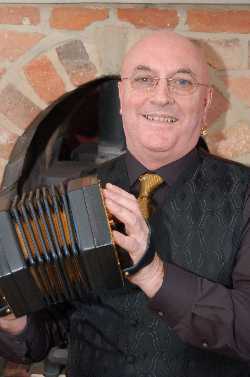 “....They are well worth catching, if you are into folk, a delightful couple, very accomplished. One of the most underrated duos around, great harmonies and songs.....Go!" "....Two very fine voices, some of the best concertina playing you'll ever hear and a wry vernacular sense of humour ... the English tradition is safe in their hands." Special main stage concert for festivals. with carefully selected guests that are passing through.